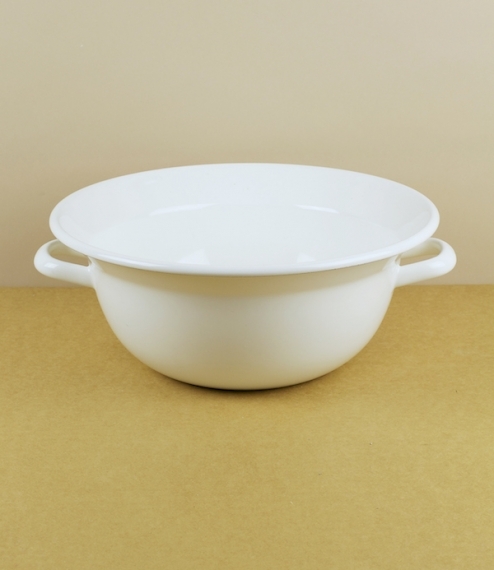 White vitreous enamel on pressed steel twin handled bowls in a classic Austrian pattern used for mixing, serving, washing, swill, feeding animals, but also usable in the oven and over direct heat. From the workshops of Riess in the town of Ybbsitz, Mostviertel, Austria, whose plant and kilns are powered only by their own hydroelectric turbines providing a model for environmentally and socially sustainable industry. 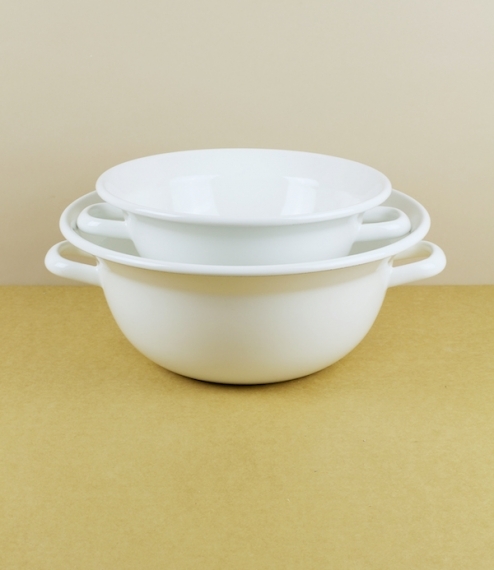 Manufacturers of kitchenware since the sixteenth century they are also proud of their tradition for excellence. 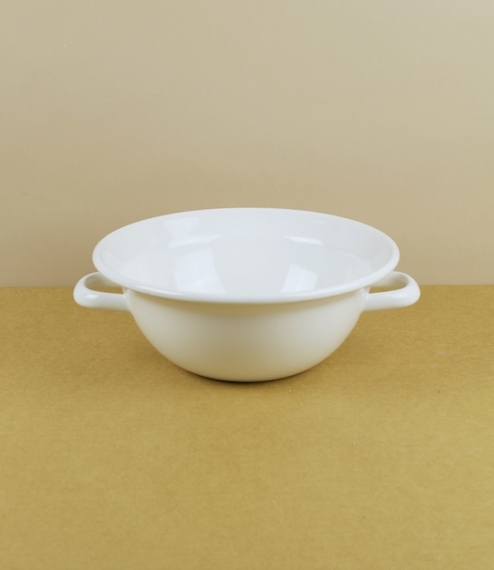 In two sizes with bowl diameters of about 22cm or 28cm.